In centimerers the dimensions are 47.5 cm by 57.5 cm. The length of kite bow is 27.5 inches. This kite is easy on fingers will not feel heavy on fingers even in strong wind conditions. Very responsive to movement of your fingers and that makes it The best and easy to fly kite. Highly recomended for first time flyers loved by pro kite flyers from all over the world. you will get 40 kites in this pack in different colors as available with us. There might be some kites with desgns or graphics on it but inventory keeps changing but size of the kites will remain same. we do take order for customised kite for quantity above 1000 kites. 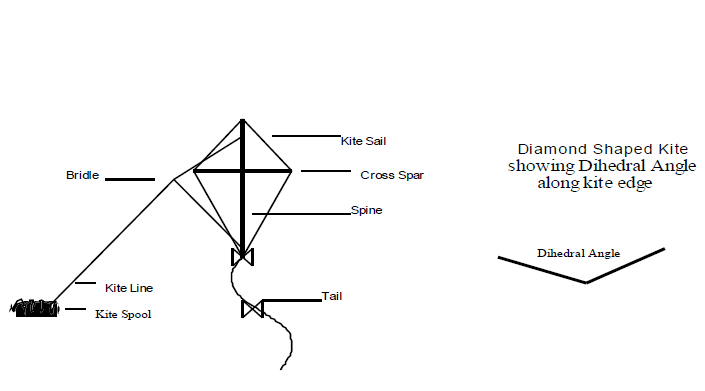 In India this kite is also called patang , In pakistan it is called Gudda.